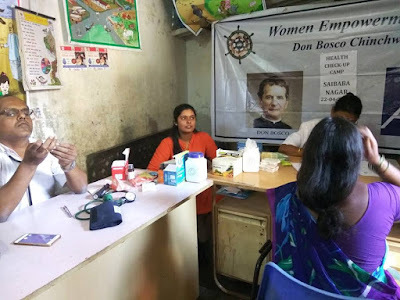 April 2017, Chinchwad (Pune): The Don Bosco Development Society (DBDS), Chinchwad conducted a free health Check-up and health awareness camp. 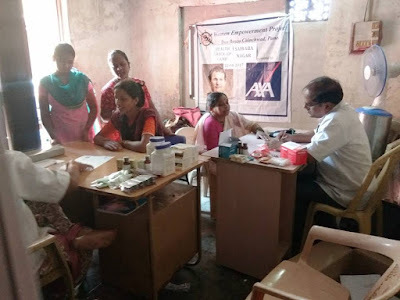 105 women and children from the slums benefited from this camp conducted under the aegis of ‘Women Empowerment Project’ supported by AXA Business Services Ltd. 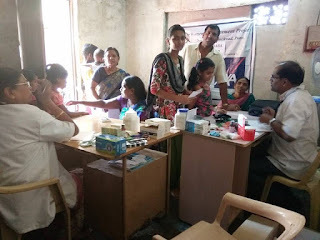 This health camp was held in Saibaba Nagar slum (Chinchwad) in association with Lokhande Hospital and Sai Prasad Clinic. 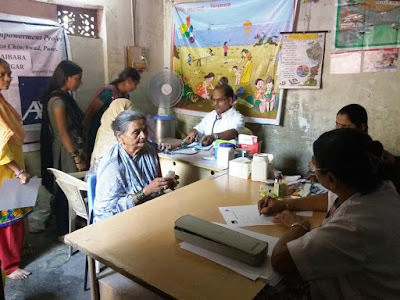 Dr. Pratibha Lokhande and Dr. Prasad K. Kate along with their para-medic staff examined the people. There were patients with illnesses such as: HB, Anemia, eye infection, fever, arthritis, cough, cold, GRDS, worms in children etc. 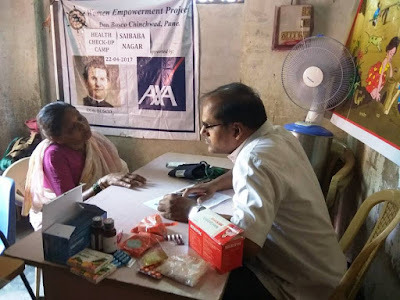 Patients with serious illness were referred to Sai Prasad Clinic and Lokhande Hospital for further treatment. People thanked Don Bosco-AXA project for holding this camp in their area.